21 Tips That Will Make Your Home Smell AMAZING! Home » Latest Articles » How-To's / Guides » 21 Tips That Will Make Your Home Smell AMAZING! You walk in to greet them, while wondering how it must be to live in such a paradise. Smell is one of our strongest senses, and it’s no wonder it has the power to sweep guests off their feet. The right scent can even relax us, improve our mood, and even our work performance. In this article are my top tips to create an amazing-smelling home. There is a whole 21 of them, so don’t feel pressured to try them all. Have a read, choose a few that sound fun, and give them a shot! You’ll be surprised how far just one or two can go. I’ve split the recommendations up into three different sections – Cleaning Tips, Main Tips, and Party Tips (for short-term scent boosters). In this section, I’ll cover just about every area that can stop your home from smelling great. We want to make sure we’re working with a clean-smelling home, and not just trying to mask foul smells! First, a quick tip. Shopping for new cleaning products? Citrus scented cleaners are a must-have; citrus is one of the best cleaning products out there. Citrus and a clean home go hand-in-hand, almost as well as the dog and muddy footprints..! If you’re making home-made solutions to naturally clean your home, squeeze in some lemon juice for a citrus boost. Another natural solution is replacing that super-strong polish with a natural remedy. For wood surfaces, mix 2 tablespoons of olive oil with a quarter-cup of vinegar and a half-teaspoon of fresh lemon juice. While it’s not as strong as natural polish, this mixture smells amazing and is still capable of handling most polishing tasks. Now, it’s time for a dust-up! 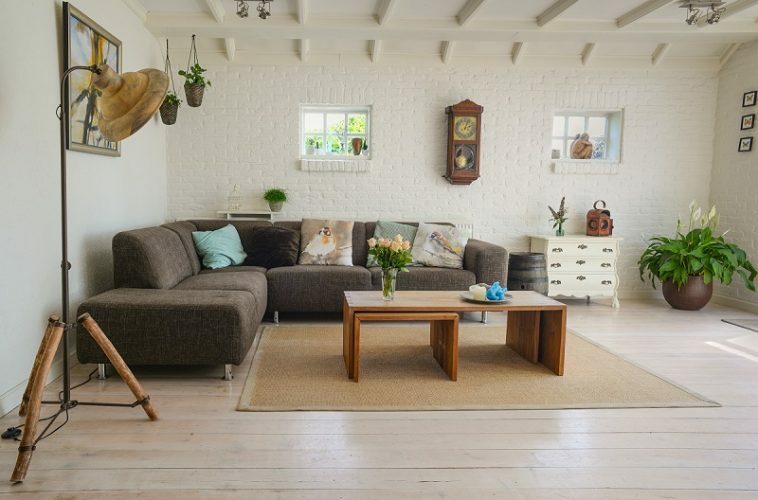 Dust is the biggest contributor to a stale smelling home. It’s literally dead skin cells. Ew. It’s not a fun job, and you do need to get to some awkward places, but it’s gotta be done. 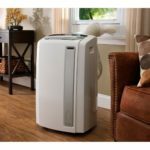 If you’ve come to this article because your living space just doesn’t feel “fresh” anymore, a build-up of dust somewhere is almost certainly a culprit. Get that laundry going. While clothes are important, this tip is really directed to bedding and furniture covers. When was the last time those couch and pillow covers really got cleaned? While it may be harder to see, these are common criminals when it comes to harboring hidden dust. 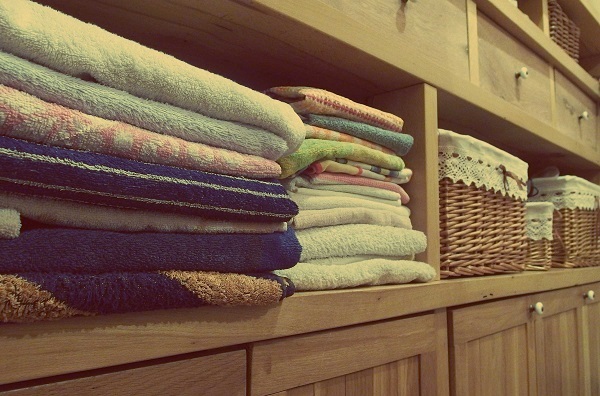 I bet you can almost smell the freshness of these towels! Garbage Disposal. The jaws of your garbage disposal can end up trapping endless amounts of god-knows-what inside it – leaving you with a lovely dumpster-scented kitchen. To clean it, pour half a cup of baking soda into the drain, then a whole cup of vinegar. While you’re waiting for those to combine, get a full kettle going and pour the water down once it’s boiled. Then rinse by turning on the disposal and adding some ice cubes with salt and a chopped lemon to really give it a clean finish. 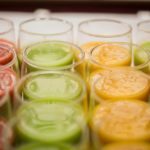 Looking for a ‘cool’ alternative idea? 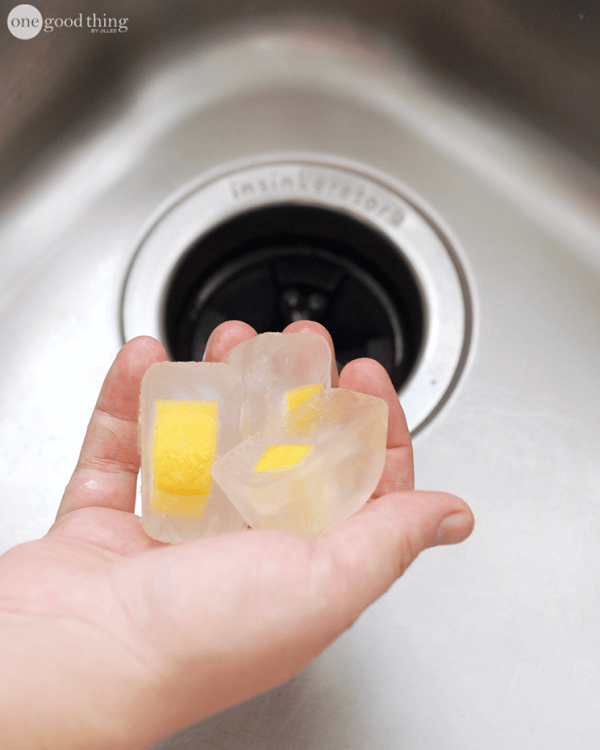 Ashley at OneGoodThing cleans her disposal with lemon and vinegar ice cubes. Check it out here. Wipe down your trash can. Between all those bag-changes, quite a build-up of old food and bad bacteria can start to call your trash can home. Give it a good wipe down with a microfibre cloth and warm soapy water. Make sure you let it dry before adding a new liner! Freshen up those rugs. If your living space has any beautiful rugs, it’s worth giving them a good clean once every few months. Here‘s a great guide by DIY Network if you want to know more. Clean out that oven/microwave. Places where we cook food are a huge trap for bad smells. Especially when a spill gets continually cooked onto the metal. Gross. Don’t worry – the superheros of vinegar and baking soda can come to your rescue. For a really dirty microwave, combine a large glass of water with a half-cup of baking soda and a tablespoon of vinegar. Microwave for a few minutes, and let the steam soften everything up for you. For ovens, make a paste out of the 1/2-cup baking soda and a few tablespoons of water. Coat the oven interior, especially the problem areas, and leave overnight. Then spray with a vinegar solution and scrub away. Everything should come off easy! Wash the mud off of ol’ Fido. 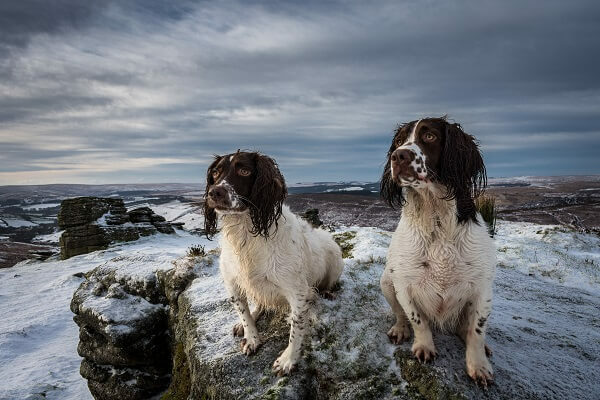 It’s not easy after coming back from a long walk, but making sure your pets’ hygiene is up to scratch can prevent that wet dog smell permeating throughout the whole home. Dogs are incredible pets.. until they come home stinking of mud and dirty water! Deal with that dishwasher. ‘Clean my dishwasher? The appliance that washes my dishes? Are you mad? ?’ – yes, yes, and possibly (I am writing about dishwashers, after all). Between all of the gunk that can get stuck in the drain, to the stubborn stains on the sides, a quick dishwasher clean-out can make a world of difference. To your home scent, but also the cleanliness of your dishes! Don’t worry, it’s easy. Hard part first – remove the filter and clean that grubber out, as well as the drain. No easy methods here, just plain old elbow grease. Next, fill up a generous cup of white vinegar, place it on the top shelf, and run the dishwasher on the hottest cycle you have. Now cover the base by sprinkling over baking soda (and on any stains/marks), and run another hot cycle. Voila! You should have a clean, good-as-new dishwasher. Now onto the sweet-stuff. These tips deal with things that will make your home smell fantastic for a good period of time. Implementing these will give you weeks of fresh, improved scents flowing through your living space. These jars aren’t just beautiful, they leave such lovely lingering scents, too. Quit storing spare candles in DIY drawers! Instead, keep them in wardrobes or clothes drawers. They will give your clothes a wonderfully subtle scent, which even the best fabric softener can’t recreate. Embrace that green life. Nothing beats a breath of fresh air. 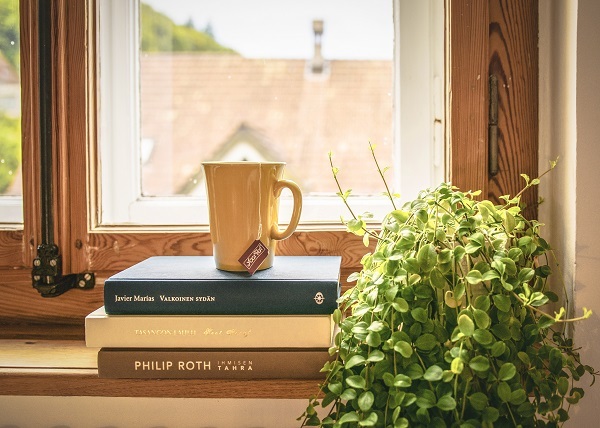 Try to make sure to always have a healthy amount of plant life throughout your home, and especially in sitting areas where you typically sit with guests. They not only smell amazing but work to give you fresher, cleaner air through the oxygen they produce. Which, by the way, has amazing health benefits. More oxygen in the air is proven to be more calming, help prevent headaches, help your heart do its thing, and leave us with more energy overall. Fresh looks, cleaner air, and great scents. What more could we ask for? Employ essential oil diffusers. These miniature diffusers are hugely popular in spas, and for good reason. Not only do the good one’s look very minimalistic and simple, they also do a fantastic job of diffusing scented oils as a light mist. My favorite one on Amazon has got to be this small, simple version by VicTsing. Not only do these oils smell incredible, you can enjoy plenty of other benefits from them, too. Having people over and want to impress? The following tips are all about making your home smell unbelievably good for the next day or two. Simmer-up some scents. Leave a little pot of mini crock pot of simmering water with some of your favorite scents. From mint and lavender for evening parties to nutmeg and star anise for Christmastime get-togethers. These are very hard to go wrong with – but if you need some ideas, here’s a quick guide by ApartmentTherapy. Bake! It may sound crazy to bake solely for the delicious smell that baking produces, but it can be super simple. Keep it easy by going for something like cinnamon rolls, cookies, or even a good loaf of bread. If you’re not obsessed about the end-product, baking can actually be quite stress-free and even relaxing. And the smell is so good, I bet you’re already picturing the warm, welcoming smell of dough baking in the oven already. 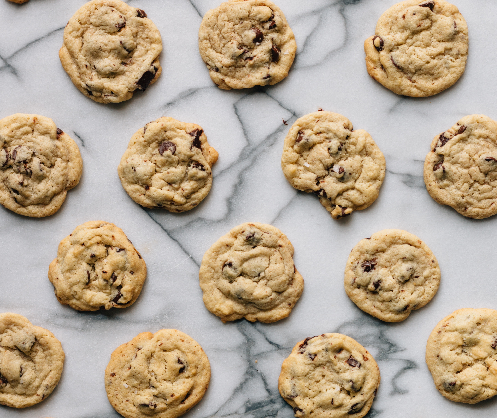 Can’t you just smell these cookies already? Not a baker? Consider doing some laundry instead. If you’ve never used scented dryer sheets before, they leave such a great aroma flowing through your home. Having a laundry load with these on the go can really give off that homely, welcoming vibe. Get the most out of your candles. Candle warmers are a fantastic way to get the smell of your scented candle aerating throughout your space, without using up the candle itself. Even just warming a candle in the corner of your sitting room can change the scent of the whole space. Check out one of the most popular candle warmers on Amazon here. Hire cotton-bud secret agents. A fantastic use for cotton buds is that they can soak up the scents from all these other tips. 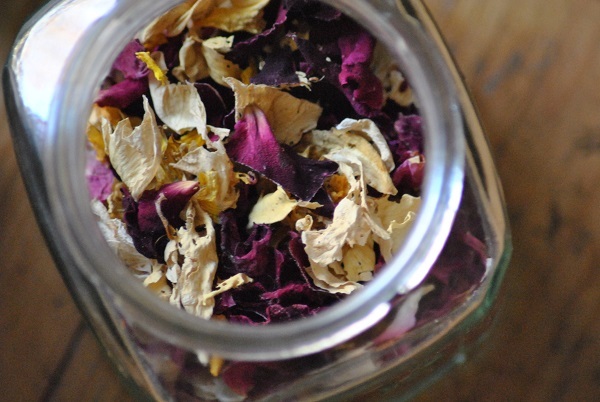 Soak them in oils, plant water, potpourri.. anything! Then, strategically place them in subtle places like in pillows, centerpieces or next to air conditioner vents. They don’t last forever but do provide a few hours of amazing yet subtle scents. Finally.. don’t mix your scents up! While each of these tips can do wonders for your home, try not to go overboard. If someone walks into your home while you’ve got scented laundry going while baking a cake, with lavender candles and a pot of nutmeg simmering away.. overwhelming wouldn’t be the word! Choose a few tips that sound fun to try, and experiment to see what you like best. Nothing beats coming home to a sweet-smelling home. I hope this guide has given you a whole bunch of ideas to try out in your own space. And don’t be afraid to get creative! Try to think of these tips like fun little experiments, rather than ‘tasks to be completed’. Don’t forget you can use many of these tips for other places, too. Taking a long road trip? A bit of a pre-drive clean and a scent-jar can make a massive difference to the comfort of everyone who’s along for the ride. Thanks for reading. Feel free to shoot any feedback via e-mail – it’s always greatly appreciated!